Are you experiencing an abundance of pain in your feet? More specifically near your big toe? If you have a bulging bump at your big toe joint, called a bunion, conservative treatments can help ease pain and slow progression, but sometimes they’re just not enough. Maybe you’ve tried switching to new shoes but your feet still aren't free from discomfort, or perhaps you’ve given splints a shot but they didn't provide the results for which you were looking—you may need to consider bunion surgery. Don't let the fear and anxiety of the word surgery intervene with your happiness. 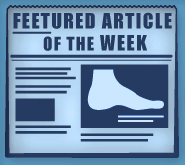 The experts at Foot Doctor of the East Bay provide the best surgical treatment for this foot deformity. We always try to save this option for last, as conservative treatments are preferred, but sometimes the pain from bunions can become too severe and limit mobility. Bring your feet in for a consultation with our experts, Dr. Michael Stein and Zeindelin Ahmad, DPM. It's important to understand the complexities of this type of procedure. For patients who have not had success with conservative treatments such as shoe modifications, custom orthotics, or physical therapy, surgery may provide the next best option. With surgery, you can find relief from chronic foot pain. Activities as simple as walking and running will no longer cause you discomfort. The big toe joint will no longer be inflamed or swollen and the toe will be straightened out, no longer angling toward the smaller digits. Bunions are often associated with toe stiffness, but with bunion surgery mobility will be restored. Bones, tendons, muscles, and ligaments are all involved with this deformity. After your evaluation, we will determine if your bunion is severe enough for surgery. If so, all of these portions of the foot will have to be addressed. Tendons and ligaments will have to be repaired. These tissues surrounding the toe have either become too tight or too loose, causing your toe to drift toward the smaller toes. Our surgical procedure will shorten the loose tissues and lengthen the tightened. In severe cases, bone is actually cut and the tendons and ligaments are put back into their places with screws, wires, or plates. When healing is complete, these items will be removed. If you’ve had bunion surgery before and the deformity has returned, or if you have severe arthritis, the damaged part of the toe joint may have to be completely removed and replaced with an implant. Bunion surgery is typically an outpatient procedure. The type of anesthesia varies, but patients typically remain awake. A complication-free procedure will mean that you can plan to leave the same day. Make sure you have someone with you. Your recovery will depend on the procedure performed. You may have to wear a boot, cast, or post operative shoe. We will provide you with instructions for the days and weeks following. Pay close attention and adhere to detail for a more successful recovery. It may take as many as six to eight weeks to fully heal. Begin by resting the foot, icing the joint, and protecting your limb. Pain medication will be recommended, and we will instruct you on the proper care for stitches, including how dress the area. Always watch for signs of trouble. Increasing pain, a fever, changes in coloring of the foot, and swelling are all indications of infection or other complications. When the foot is healed, strengthening exercises will be suggested. We recommend the use of custom orthotics to address foot structure concerns, and can help you with appropriate footwear selections. Make an appointment with Foot Doctor of the East Bay today by calling (510) 483-3390. If you're unsure if surgery is right for you, let us take a look! We have offices in San Leandro, Los Gatos, and Pleasanton, CA. Let us assess your situation and find the best treatment plan possible.